Over the Easter holidays 2019 there will be some changes to welfare benefit and state pension payment arrangements. Welfare offices will be closed on Good Friday 19th April 2019 and Easter Monday 22nd April. Offices will reopen on Tuesday 23rd April. Post Offices will be closed on Good Friday 19th April 2019 and Easter Monday 22nd April but will be open during normal business hours on Saturday 20th April. Signing for Friday 19th April and Easter Monday 22nd April 2019 will be suspended. Normal signing arrangements will apply for the rest of the week. Payments due on Thursday 18th April can be collected from Wednesday 17th April. Payments due on Friday 19th April can be collected from Thursday 18th April. Payments due on Wednesday 17th April will be paid on Tuesday 16th April. Payments due on Thursday 18th April will be paid on Wednesday 17th April. Payments due on Friday 19th April will be paid on Thursday 18th April. Payments due on Monday 22nd April will be paid on Thursday 18th April. Use code: HOME20 to get 20% off selected core home, lighting and furniture online. 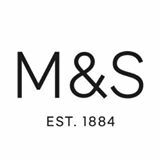 At the MarksandSpencer.ie website you can’t buy food (usually) or furniture – but there is a wide choice of clothing for all ages and some great stuff for the home – towels, bed linen , luggage,cookware, and other homeware items. Check out more online discounts , offers and deals on our Discount Alerts Page . 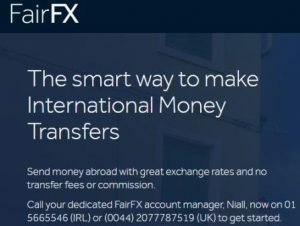 Credit cards with a billing address outside Ireland are not accepted – so that means people abroad can’t use the Irish M&S site to buy gifts for people in Ireland. Shoppers on the UK site still can’t get orders delivered to Ireland though. This summer, from August 15th onwards – many young Irish people will again be accepting places at Universities and Colleges. Many of those students will be relying on student grants to help with living expenses and travel etc. Student grants have been reduced in recent years – but at least they are still available here in Ireland. If you think you might be eligible for a student grant, you should apply for it as soon as possible. The opening date for student grant applications is April 25th 2019. The closing date for receipt of 2019/20 applications will be the end of July 2019 . Student Universal Support Ireland ( SUSI) say that applications made by July 12th will be given priority. – but they usually allow late applications. Do not delay your grant application until you receive an offer of a place or enroll in college. Applications are dealt with by SUSI. (Student Universal Support Ireland). Last year they processed more than 98,800 applications with in excess of 81,800 students (new and renewal) awarded a grant for the 2018/2019 academic year. Grants are available to eligible students attending most colleges in Ireland as well as for Irish students attending most colleges in Northern Ireland, the UK and other EU States. The income of you and/or your family is the main factor in working out your eligibility for a student grant. Students who are currently in receipt of a student grant and who are progressing to the next year of the same course will continue to be assessed and paid by the existing awarding authorities – i.e. the relevant local authority or Vocational Educational Committee .